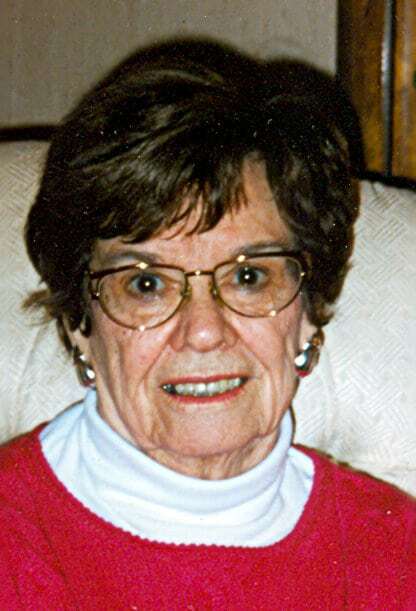 The funeral service for Margaret L. Freeman, 92, Lawrence, will be at 11 a.m. Tuesday at the Trinity Lutheran Church, 1245 N.H. Burial will follow in Memorial Park Cemetery. Mrs. Freeman died Thursday, May 27, 2010, at Lawrence Memorial Hospital. She was born Oct. 9, 1917, in Atchison, the daughter of William H. and Minnie Rose Laridain Funke. She moved from Kansas City, Mo., to Lawrence in 1942. Mrs. Freeman was a member of the Trinity Lutheran Church. At Trinity, she was a member of the Ruth Circle and served on the Altar Care Committee and the Fellowship Committee, which is in charge of funeral dinners. She was also a member of Westside Study Club, a bridge club in Lawrence, and enjoyed golfing at the Lawrence Country Club. Her hobbies included sewing, flower gardening, bowling, shopping, traveling to Branson, Mo., and decorating her home. She married Glen E. Freeman on March 6, 1937, in Kansas City, Mo. He died Sept. 3, 1988. Survivors include two daughters, Carol L. Owen Peters and husband Richard, and Virginia R. Grammer and husband Gerald, both of Lawrence; three sons, Larry J. Freeman and wife Shirley, Portland, Ore., James D. Freeman and wife Carolyn, Lawrence, and Donald E. Freeman and wife Patricia, Kansas City, Mo. ; two brothers, William “Bill” Funke and wife Lola, Fort Collins, Colo., and Fred R. Funke and wife Opal, Medina, Texas; eight grandchildren, Daniel D. Owen, Sarah L. Bourgeois, Cisley C. Thummel, William M. Grammer, Christine E. Seim, Angela C. White, Derek R. Jones, and Marsha J. Katasonova; and 14 great-grandchildren. The family will greet friends from 10 a.m. to 11 a.m. at the church before the service. The family suggests memorials to the Trinity Lutheran Church, sent in care of Warren-McElwain Mortuary, 120 W. 13th St., Lawrence, KS 66044. Condolences may be sent at warrenmcelwain.com.